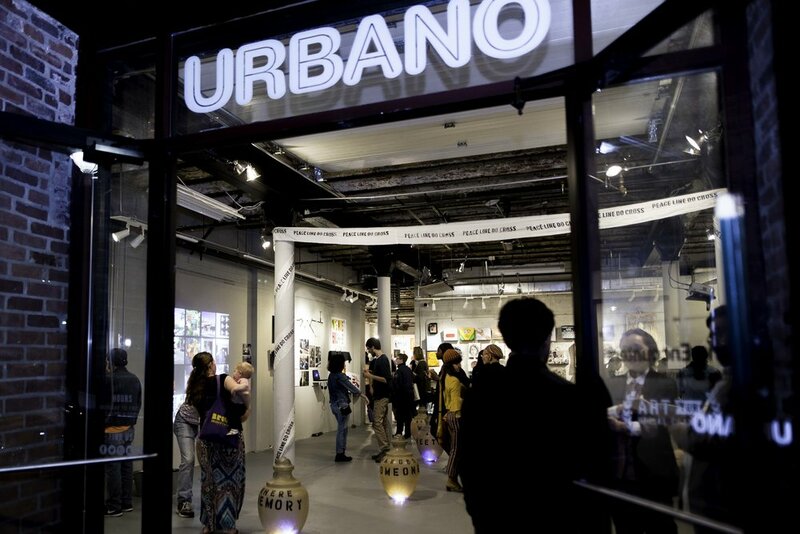 Urbano Encounters was a retrospective exhibition chronicling Urbano’s eight years of bringing together local youth and professional artists to create public participatory art projects as a catalyst for personal transformation, community cohesion and social change. Co-curated by Colombian-born curator/artist Julián Serna and Urbano's Founder and Executive Director, Stella Aguirre McGregor, the exhibition featured various multidisciplinary, socially-engaged projects that have taken place at Urbano, including public interventions in the City of Boston, collaborations with professional artists, and the narratives of Urbano’s Youth Artists. Public art projects included Nomadic Civic Sculpture, Harvesting Walls, Freedom Trail on Trial, Square Roots of Boston, Peace Line, Crossing Urban Boundaries, and Speak Out. Act Up. Move Forward (a performance/digital media piece created by Urbano’s teens in collaboration with dancers/choreographer DeAnna Pellecchia and Ingrid Schatz, along with composer Shaw Pong Liu, in response to historic and contemporary acts of civil disobedience from Occupy Boston to the Tiananmen Square protests). Pedro Reyes, Palas por Pistolas. In conjunction with the retrospective, Urbano presented a series of public and free events throughout Fall 2017.